PAABA is a 501(c)(6) nonprofit and as such, volunteers have always played an important role in PAABA. Historically, volunteers have conducted intake interviews for PAABA’s Lawyer Referral Service, designed and maintained PAABA’s website, planned educational and social events, provided administrative support for events (such as collecting sign-in sheets, arranging for catering, handing out documentation, and reserving event spaces), sought out speakers, provided content for PAABA’s blog, publicized events, maintained PAABA’s social media networks, and conducted membership drives. PAABA welcomes volunteers from all walks of life and will work with you to determine tasks that suit your comfort level and experience. Volunteers will be asked to join a Trello team board to coordinate tasks. Volunteers can choose any of the following three focus areas. Duties would include training with our Lawyer Referral Services administrator, assisting with paperwork, and staffing the LRS phone line and/or office to help direct people to a lawyer who specializes in the type of law they need help with. Bilingual volunteers are particularly encouraged to work with LRS. Volunteers who have a specific practice area they would like to focus on can work with one or more of PAABA’s practice area committees. You would work directly with the committee chairperson(s) on a variety of tasks such as cold-calling potential speakers, writing summaries of speaker events for PAABA’s blog, conducting research to support white papers, or writing copy for the section website. Volunteers are encouraged to attend their committee’s meetings and may be asked to assist with setup, arranging catering, and documenting attendance. There is no minimum time commitment for volunteering with PAABA. Involvement can range from as little as 30 minutes online research projects, to 2 hour blocks for staffing events, up to several days invested in building a sponsorship database or writing white papers. While our Lawyer Referral Services and Committee volunteer positions require in-person availability, most of the administrative tasks can be performed remotely at any time of day. PAABA’s goal is to integrate our volunteers into all aspects of our organization. Volunteers are invited to attend all PAABA educational and networking events free of charge, access all of our member benefits, host your legal writing on PAABA’s blog, and meet our Board and committee chairpersons. You are welcome to identify your PAABA internship on your resume or C.V. and use your PAABA contact as a reference in your job search. We would also be happy to help you identify a mentor within the PAABA community to answer questions or provide feedback about the practice of law, becoming a lawyer, choosing a practice area, and other relevant topics. To volunteer with PAABA, contact info@paaba.org. Andrea Nocito is a recent graduate of Loyola University New Orleans College of Law. In addition to her J.D., she holds a Master of Science in Environmental Management from the University of San Francisco. ​Andrea is passionate about serving and being a change agent. For more than a decade, she​ has worked to slow climate change through environmental planning, to foster economic development by helping to grow small businesses, and to advance equality through technology. 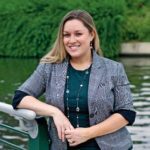 She has hands-on experience with corporate formation for biotech and clean tech startups, including research and advising on funding, intellectual property, licensing, and regulatory approvals. Andrea sat for the California bar examination in July 2017. While awaiting results, she is available for temporary, contract and project-based work, with a particular interest in the tech sector. She looks forward to helping innovators bring technologies to market as a transactional lawyer. 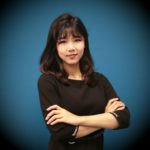 Xiaoxiao (Sherry) Liu is an associate in the Corporate Law group of Rimon P.C. Ms. Liu holds bar admissions in China and New York. She has worked in law firms in Shanghai before coming to the US. Ms. Liu’s work includes transactional matters – business formation, financing, licensing, corporate governance, and mergers & acquisitions. Ms. Liu is also the founder of a social media interview program, “Lawyers’ Stories in the U.S.,” a series of interviews featuring the stories of lawyers in top law firms all over the US, and unveiling the mysteries of career paths of successful attorneys. The program is published on the largest social media site in China, WeChat. The first season and second season have been posted, attracting over 30,000 readers. Ms. Liu serves on the executive team of Chinese American Lawyers of the Bay Area (CALOBA), in charge of public relations and served as a Mandarin, Cantonese and Korean interpreter in San Francisco Senior Center.